If you can help with welcoming, reading or administering Holy Communion at our Easter services, please sign up on the rota on the noticeboard as soon as you can. We need many, many volunteers to ensure that our liturgies are celebrated with dignity and joy without overloading our ministers. 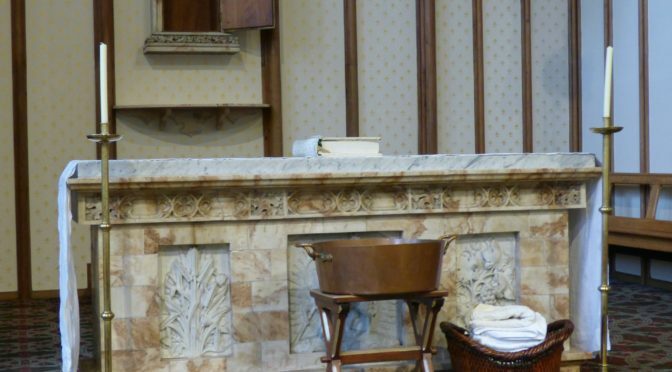 Also, if you would be willing to participate in the foot-washing as part of the Mass on Holy Thursday evening, then also sign up or let Fr Andrew or Andy Doyle know as soon as possible. Many thanks.